Peter Julian Eymard was born in La Mure d’Isère, France, on 4 February 1811. He died on 1 August 1868. 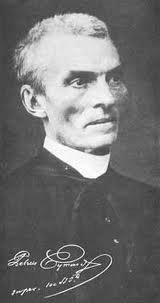 In 1856 Eymard founded the now worldwide Congregation of the Blessed Sacrament. The congregation’s charism emphasises devotion to the Eucharist. Through his writings and actions Eymard is recognised for his major contribution to nineteenth century French spirituality. Saint Peter Julian was canonised on 9 December, 1962 by Pope John XXIII. He is often referred to as the “Apostle of the Eucharist”. 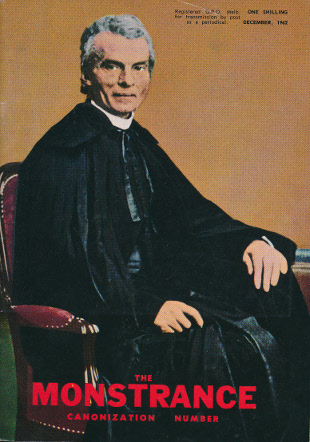 Eymard’s legacy and literature facilitates access to the life and writings of St Peter Julian by sourcing over a century of scholarly research. This translation site allows translation into your language. An explanatory essay by the Congregation’s former Superior-General, Fr Anthony McSweeney, SSS. The Eymard legacy and its transmission examines the authenticity of “Eymardian” texts by tracing the complex story of the publication of Eymard’s writings, and the story of his evolving personality, spirituality and understanding of the mystery of the Eucharist. Many of the authors listed on this site are members of the worldwide Congregation of the Blessed Sacrament. Thus the work also serves as a record of English language commentary on Eymard by the members, both male and female, of the congregations and associations he founded. With its emphasis on Eymard’s written and published word, this site could be considered as complementing the 2011 multimedia internet site, Eymardian Places (https://eymardianplaces.com), compiled by Damien Cash. That site brings alive the life and times of the Saint through a diverse range of text, commentary, images, videos, and much practical information to assist Eymard pilgrims. With the availability of digitised titles, an internet translation facility, and an Eymardian presence on such sites as Facebook and Twitter, technology is ensuring that the writings of Saint Peter Julian Eymard can easily be accessed in the twenty first century, in any language, and from anywhere in the world. The Monstrance (Melb. ), December 1962. Canonisation issue.